Leading Manufacturer of air valve for water pipes from Jaipur. We are one of the prominent manufacturers, suppliers and importer of Air Valve for Water Pipes. The offered valve is manufactured by using top notch quality raw material and modern technology by our experienced professionals. So as to ensure its quality, this valve is sternly tested on diversified parameters. 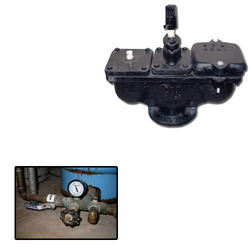 Clients can avail this valve from us at market leading prices. Looking for Air Valve for Water Pipes ?